Based on the company's new TNGA (Toyota New Global Architecture) platform, the 2018 Camry Hybrid features a wheelbase that's two inches longer, a length that's anywhere from 1.2 (XLE) to 1.8 (SE) inches longer, a roof that's one inch lower, and a hood that's 1.6 inches lower. Front and rear seat hip points are also lower, giving the latest Camry a lower center of gravity. The sportier and more expressive design for 2018 begins up front, where LED-trimmed headlamp enclosures bracket a narrower upper air intake that sits above a large, aggressive lower grille containing six horizontal bars that bend and wrap around the lower fascia. Along the sides, an upper character line starts just behind the front wheel well and continues along the side, bisecting the front and rear door handles, finishing just past the center point of the rear wheel arch. Between the wheel wells, the lower body is deeply sculpted, with an upper character line that rises from the halfway point of the front wheel well to the top edge of the rear wheel opening. 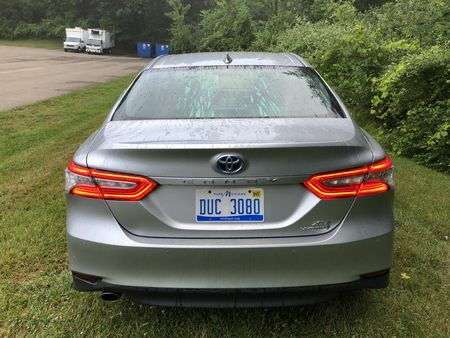 In back, narrow horizontal LED tail lights sit just below the terminus of the gently sloping, coupe-like, roofline. 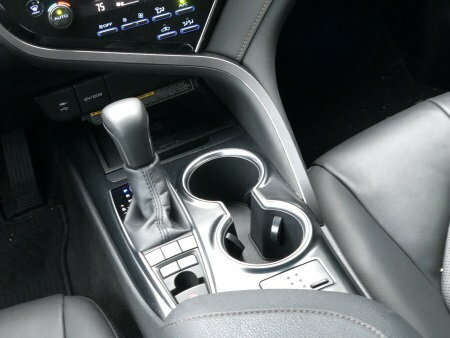 The nicely-styled exterior is wrapped around a redesigned interior that features a new dashboard and center console design that borrows a number of asymmetric styling cues from the spectacular Lexus LC 500. For 2018, the front seats cushions were redesigned and are deeply dished and more rounded, with firmer bolsters for more support on long rides. 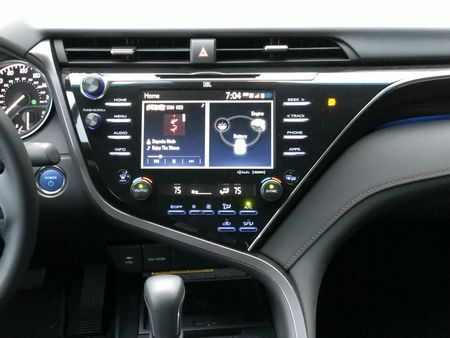 A larger seven-inch touch-screen dominates the central portion of the upper console, while a mix of bolder colors and soft-touch materials gives the entire interior a premium feel – echoing a level of trim from Lexus models of a generation or two ago. 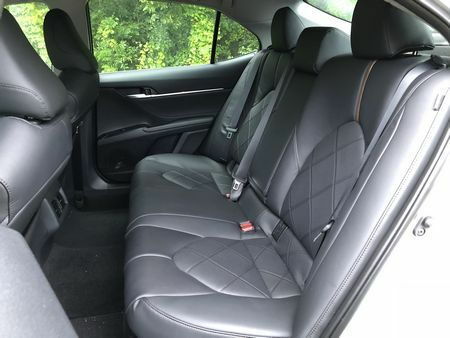 Four can sit comfortably on long trips, but a third adult in back can also manage. A new battery pack placement under the rear seat allows for a real split-and-fold rear seat and a larger pass-through opening behind it, while adding two cu ft to the trunk for a total of 15.1 cu ft of cargo space. Like the regular Camry, however, the pass-through is on the small side and cyclists will find that a 52cm road bike will barely fit through it, even though there is plenty of overall room to spare. Drawbacks are few and include a lower seating position in both front and back that clashes with the raised hip point of more popular crossovers, while the gap between the rear door pillar and the front edge of the rear seat cushion is narrow and could present a problem for older or less mobile rear seat passengers. 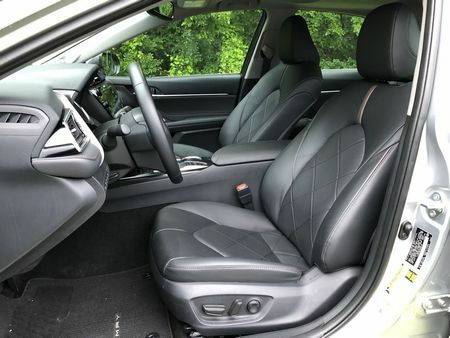 In addition, the increase in cargo space also comes at the expense of passenger room, which decreases from 102.7 cu ft to 99.9 cu ft on non-sunroof models. 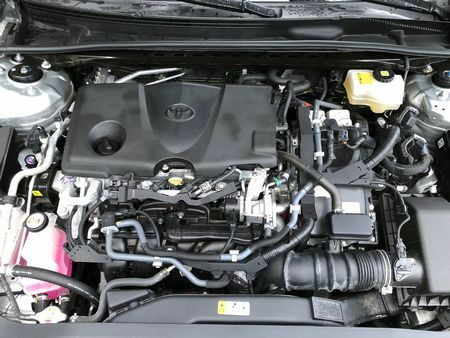 Under the hood, the latest Camry Hybrid features a revised version of Toyota’s Hybrid Synergy Drive powertrain, starting with an all-new 2.5-liter four-cylinder Atkinson cycle engine that generates 176 horsepower and 163 lb-ft of torque. Sharing power duties is an AC Synchronous Electric Motor that produces 118 horsepower (88 kW) and 149 lb-ft of torque. Together they’re capable of producing 208 system net horsepower. Power is sent to the front wheels by means of a continuously variable automatic transmission (CVT). Fuel economy numbers are also improved, with the XLE achieving an EPA-estimated 44 miles per gallon in the city, 47 on the highway, and 46 combined, while the lighter LE manages an EPA-estimated 51 mpg city, 53 highway, and 52 combined (our own observed fuel economy in an XLE in mixed driving was a vehicle measured 46.2 miles per gallon). But despite those better numbers, the hybrid's overall range is less than last year, as the revised battery placement has reduced fuel capacity from 17 gallons to 13 gallons. In addition to being more efficient, we actually prefer the hybrid's performance over that of the base engine in the standard Camry. Credit this to the nearly-instantaneous torque generated by the electric motor, which gives it a feeling briskness off the line. 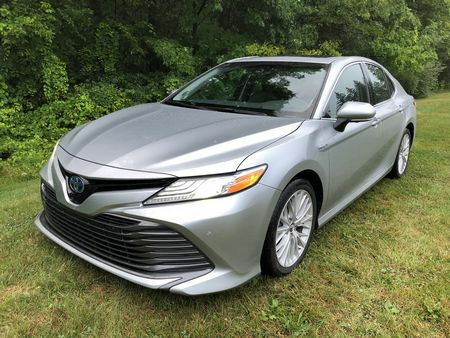 A lower center of gravity also means the Camry has a much flatter trajectory through corners, all the while still keeping road noise to a minimum – an important criteria in this class. At the same time, the brakes provide excellent feel – even when the regen kicks in - bringing down the Camry's decreased weight with greater efficiency than most hybrids this size. 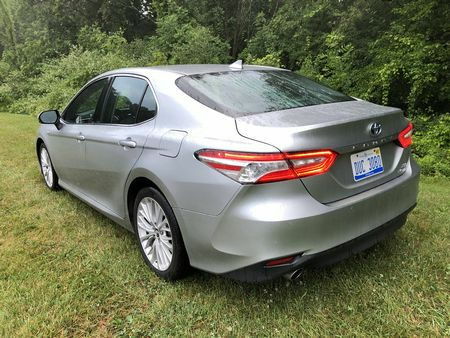 Like the previous Camry Hybrid, the “hybrid” portion is a feature that increasingly works in the background, very rarely intruding on the driving experience. The CVT is as smooth and growl-free as any traditional automatic we’ve driven, while the switch from battery to gas and back is seamless. 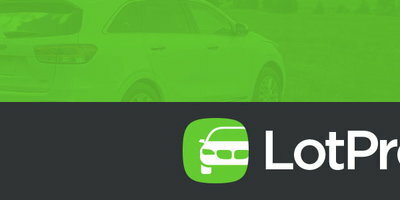 But in a vehicle whose appeal is primarily measured in fuel efficiency figures, a number of attributes also take a back seat - including a steering system that displays too much on-center weight with little road feel reaching the driver, as well as a braking system that, on occasion, exhibited some confusing behavior in low-speed backup maneuvers. 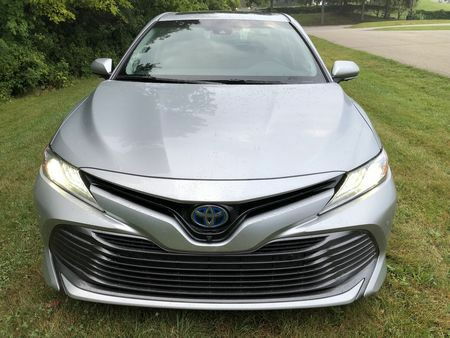 Pricing for the 2018 Camry Hybrid, available in LE, SE and XLE trims, starts at $28,870 for the LE, and can top $38,000 for a fully optioned and accessorized XLE model. The conventional gas-powered model comes in seven trims, but is marketed separately. 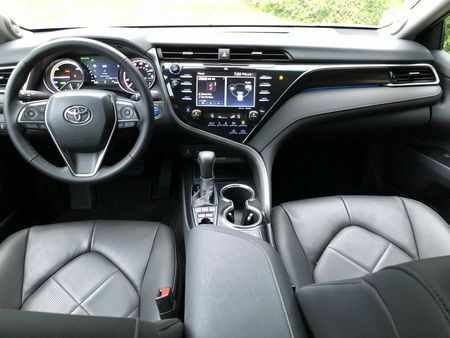 Even the base LE trim comes with a long list of standard features that include the usual power features plus dual zone automatic climate control, a 4.2-inch multi-information display, heated front seats (fabric), layered wood interior trim, keyless push-button start, an electric parking brake, and LED rear seat reading lights. The exterior equipment list includes auto on/off Bi-LED headlights, as well as LED tail lights and daytime running lights. Standard advanced safety features include a rear view camera, pre-collision warning, automatic emergency braking, lane departure warning with steering assist, automatic high beams, and adaptive cruise control. Our Silver Metallic XLE tester had a base price of $32,250 and came with model upgrades including full LED headlights, LED tail lights, eighteen-inch alloy wheels, Tiger Eye interior wood trim, leather-trimmed front seats and steering wheel, auto-dimming rearview mirror, blind spot monitor with rear cross-traffic alert, clearance sonar, and rear cross-traffic braking. 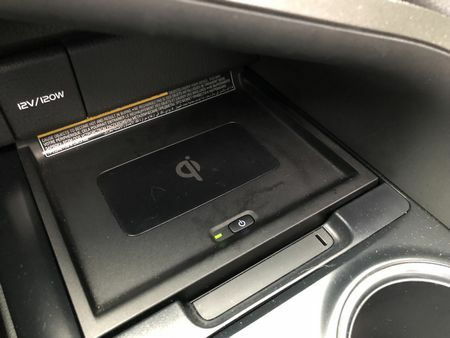 Options included the Driver Assist Package ($1,050, bird's eye view camera with perimeter scan), Power Tilt/Slide Moonroof ($845), Audio Package ($1,800, JBL audio, navigation with Entune, and Qi-compatible wireless phone charging), Carpeted Floor Mats ($224), and Illuminated Door Sill Enhancements ($299). With a destination fee of $895, the manufacturer's suggested retail price came to $37,363. Drivers seeking a great deal of involvement will still be disappointed in Toyota's midsize hybrid, although no more so than in any other Camry and, after all, that's not really what this fuel-sipping model is all about. So despite improved but still mundane handling, and a lower seat height that could turn out to be a hard sell in a market increasingly dominated by crossovers, Toyota continues to improve on its already-impressive green cred with a more expressively-designed Camry hybrid with improved fuel economy and a long list of standard active safety features, making it a top choice in its class.